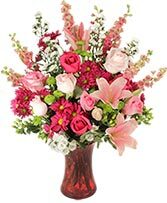 Nothing brings more joy than receiving flowers, except when they come from someone you love. 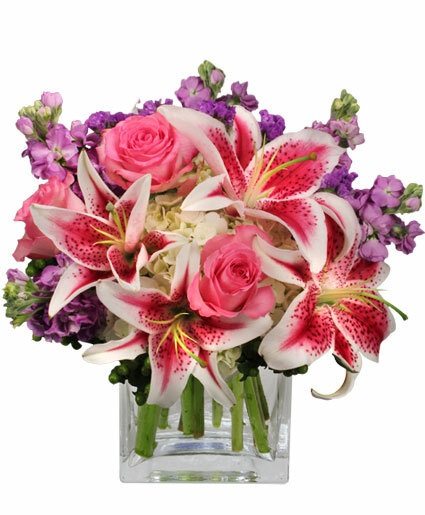 This gorgeous bouquet of pink roses, lilies, larkspur, white ‘Monte Casino’ asters, and green button mums will do just that! 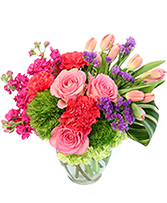 Send her the gift of happiness this Mother's Day!